Perfect for card making and a wide range of creative activities, the PX-203 extra fine paint marker enables drawing on any surface including photographs, Metal, Glass, Wood and Plastic. The special ink is both fade and water resistant and so will not run or fade after time. The smaller tip size of the PX-203 is also ideal for handwriting cards and gift tags it is great for adding that personal finishing touch. 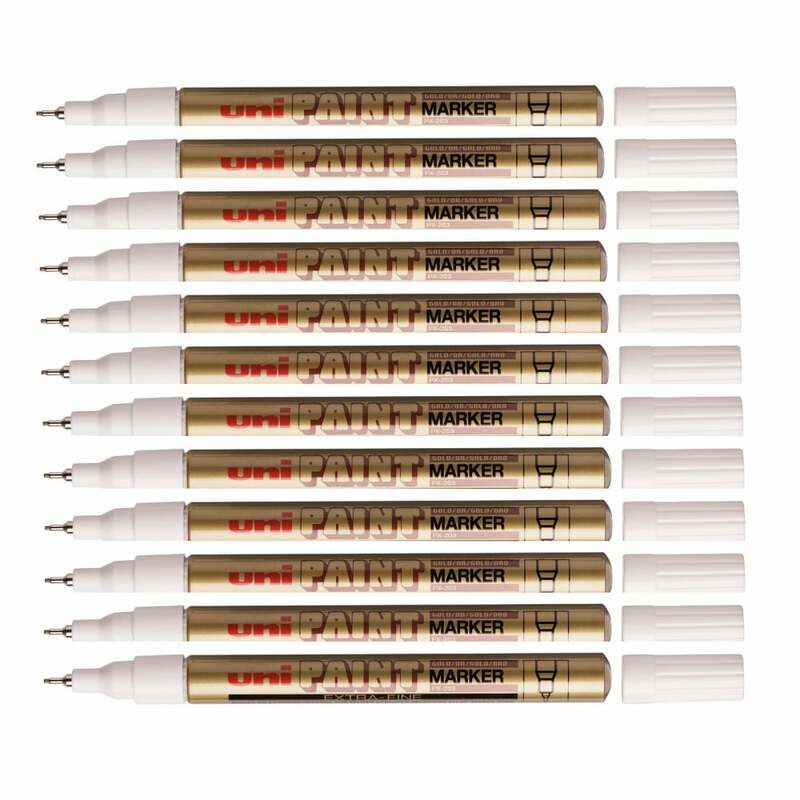 Pack of 12 oil based gold paint markers PX-203.